A broad view on the analysis of Doppler embolic signals is presented, uniting physics, engineering and computing, and clinical aspects. The overview of the field discusses the physiological significance of emboli and Doppler ultrasound with particular attention given to Transcranial Doppler; an outline of high-performance computing is presented, disambiguating the terminology and concepts used thereafter. The presentation of the major diagnostic approaches to Doppler embolic signals focuses on the most significant methods and techniques used to detect and classify embolic events including the clinical relevancy. Coverage of estimators such as time-frequency, time-scale, and displacement-frequency is included. The discussion of current approaches targets areas of identified need for improvement. 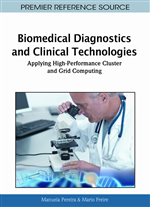 A brief historical perspective of high-performance computing of Doppler blood flow signals and particularly Doppler embolic signals is accompanied by the reasoning behind the technological trends and approaches. The final remarks include, as a conclusion, a summary of the contribution and as future trends, some pathways hinting to where new developments might be expected. Increasing technological developments, together with the emergence of new diseases, prompted the association of engineering and medicine areas. The work developed in the intersection of these areas led to methods of higher accuracy in diagnosis, and encourages research towards new challenges. The developments that have occurred in Doppler ultrasound instrumentation are examples of the successful application of engineering in medical vascular diagnosis. Clinical Doppler instrumentation and the corresponding mathematical models became particularly relevant tools, allowing the use of non-surgical methods in the measurement of blood flow characteristics. The study of blood flow includes, among other goals, the detection, and characterization of emboli in the cerebral circulation. In particular, Transcranial Doppler (TCD) ultrasound instrumentation allows for the assessment of blood flow information from intracranial arteries, namely from middle cerebral arteries (MCA), where cerebral embolic events can be observed. The assessment of blood flow and embolic events is especially relevant because cardiovascular diseases are the major cause of mortality worldwide (Gatzoulis & Iakovidis, 2007). Ischemic stroke, predominantly due to cerebral embolism (Zuilen, Gijn, & Ackerstaff, 1998), is one of the most important disorders, highly contributing to these statistics. The accurate detection and classification of emboli in the blood circulation of the brain might help the prevention of such strokes. Nowadays, many clinical and hospital units are equipped with TCD instrumentation. These devices enable emboli detection, but still present some difficulties in identifying micro-emboli. The understanding of Transcranial Doppler, also pursued in this chapter, is relevant to the articulation between medical physics and biomedical signal processing and the potential contribution to the clinical diagnosis. The significance and implications of the equipment employed allows critically examining the estimation results and deciding upon the clinical relevancy. These issues will be presented in the background section. It should be noted that the correct characterization of blood flow and cerebral emboli by TCD instrumentation depends on the precision obtained by the spectral estimation process. Most TCD equipments use conventional spectral estimation methods based on the application of Short Time Fourier Transform (STFT) and STFT presents well identified limitations that lead to inaccurate quantitative measurements, especially when small embolus detection is required. Several published studies have reported improvement in blood flow spectral estimation with methods other than the STFT. An overview of these methods will be presented in this chapter. Most of these studies, aiming several arteries, made use of simulated Doppler ultrasound signals to test the alternative spectral estimators. Although the simulation of ultrasound signals is out of the scope of this work, the entire setup to study the alternatives frequently leads to the adoption of high-performance computing strategies. An overview of the field and the presentation of taxonomy are addressed in the background section. Embolic signals (ES) are very complex and demand optimized methods and methodologies. Detection and classification of embolic events in the blood flow have been addressed using time-domain processing (TD), time-frequency (TF) processing, and time-scale processing. The study and development of alternative estimators can help the choice of the best approach to process embolic signals. A strong emphasis will be given to the current approaches to the analysis of embolic signals targeting clinical diagnosis. Although techniques allowing ultrasonic emboli detection and characterization have been reported in the literature, these reports are scarce and do not convey a unique approach. The field of analysis of Doppler embolic signals has been, since its inception, strongly dependant of the computational power required to sustain its development. While other areas of Doppler blood flow somehow strived, only recently have the researchers been able to gather the signal processing methods and the computational power to overcome the challenges. A perspective of high-performance computing will give the reader a broad idea of the field in order to be able to select and /or adopt a solution to support further studies. To conclude, final remarks are drawn and future trends identified, focusing not only on embolic signals analysis but also on telemedicine and the use of grid technologies to provide for the computational power necessary to support medical decisions.